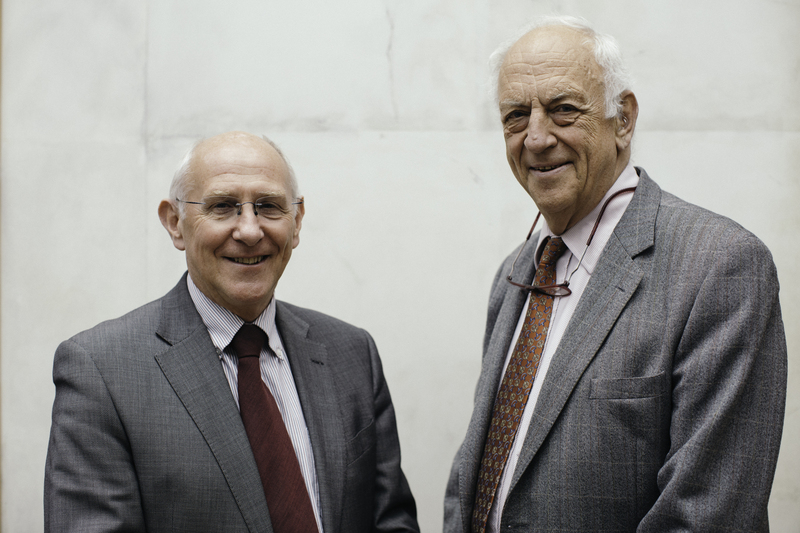 Professor Peter Weissberg CBE (pictured left) was today appointed as Chairman of The Scar Free Foundation's Research Council. As the former Medical Director of the British Heart Foundation Professor Weissberg brings unparalleled experience of driving breakthrough medical and scientific research. Professor Weissberg takes over from Professor Sir John Temple (pictured right), who has held the Chairmanship since 2004 and has recently been appointed President of the British Medical Association. Professor Weissberg's background is as a cardiologist. In 1994 the British Heart Foundation appointed him as their first Chair of Cardiovascular Medicine. Between 2004 and 2016, when he retired, he served as the charity's Medical Director, responsible for the management of £100 million of research funding to UK universities and hospitals each year. "I think the most exciting part, from a biological perspective, is the knowledge that all species can repair wounds at a very early stage of life - within the embryo for humans - without forming a scar. So as a species we are able to heal without scarring, we just lose the capacity as we grow up. If we can understand the biological processes that have been 'switched off' and switch them back on again in a safe way, then we should be able to get back to where we were as embryos, in developing new tissues and being able to heal without scarring." "It has been an absolute privilege to be a part of The Scar Free Foundation Research Council, first as a member and then as Chairman, over the past 17 years. From a standing start we have achieved a lot of excellent work that I am proud to be associated with. Under Professor Weissberg’s Chairmanship I am sure the research will go from strength to strength. He has all the right skills and unrivaled experience to help us achieve scar free healing within a generation."